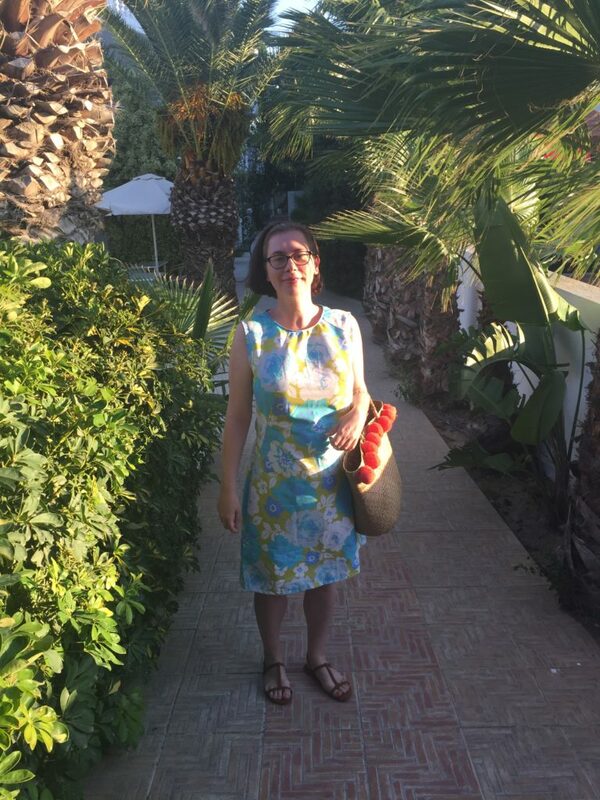 Françoise dress fresh out the suitcase in Rhodes! I have pretty mixed feelings about this sewing pattern. Most of my Tilly & The Buttons sewing projects have been positive, but this one is borderline and I can’t tell if its me or the pattern. I love the look and style of the pattern. Most of the versions I’ve seen other people make on Instagram/Pinterest I have also liked. There is something I do not like about my version. I made the dress using a vintage sheet. Its a poly cotton sheet that has some structure to it, and I thought that would suit the style of the dress well. I think it might be a little too stiff though. The next issue is the fit of the neckline. The facings would not fit along the neckline, so I ended up making bias binding to finish the neck, which never looks as good as a properly faced one. The neckline looks a bit puckered and I can’t get the puckers to press out. I might have traced the facings poorly or made an error cutting them out. The hardest problem I am having to diagnose though is that when I sit down, the whole dress tries to rise up off my shoulders! It might be due to the fabric choice, or the slightly off fit from the darts. I did lengthen the bodice part of the dress because it was too short for me. I might have affected the front darts when I did this, and perhaps that has made it ride up? Who knows. At the moment I doubt I will sew another one of these. I would love to have one that fits, but I’m not sure what changes I need to make to get there. 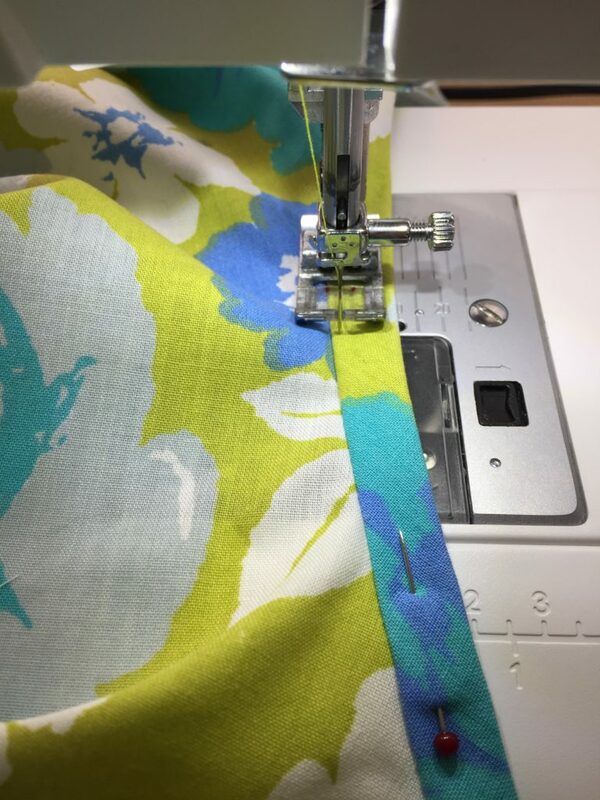 Sewing is a series of challenges and frustrations!